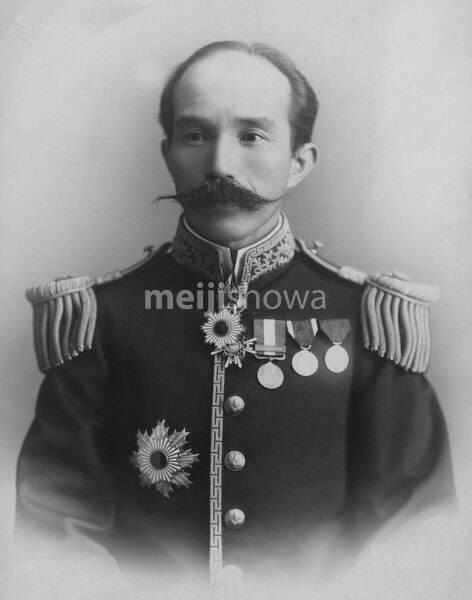 Statesman, diplomat and architect of the Meiji Constitution Baron Kentaro Kaneko (1853-1942), ca. 1905 (Meiji 38). Kaneko approached US President Roosevelt to assist in mediating a peace treaty between Japan and Russia during the Russo-Japanese War (1904-1905). Roosevelt’s mediation eventually gave birth to the Treaty of Portsmouth of 1905 (Meiji 38) which ended the Russo-Japanese War. Photo by Riyo Maruki.